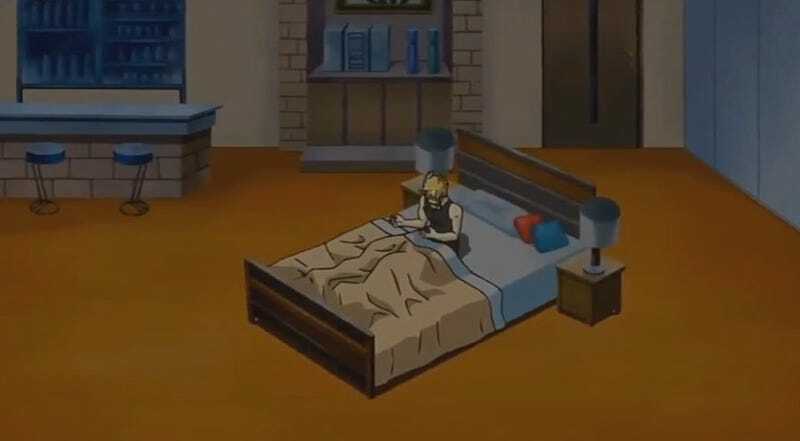 I didn’t notice until it was pointed out to me, but the beds in Yu-Gi-Oh! are often odd. Forget the hair! Look at this. It’s either that the bed’s size is weird, it’s put in a strange place, or the way it’s positioned looks off.